Frank McGuire, State MP for Broadmeadows, reports that thousands of little Victorians – including here in the Broadmeadows electorate – will benefit from new equipment, toys, learning kits and more to ensure they get the most of their early years’ education – regardless of ability. Minister for Early Childhood Education Jenny Mikakos has announced 219 kinders across Victoria have been successful in securing grants for new equipment, such as wheelchair ramps, moveable change tables, sensory playkits, adjustable chairs and Braille books. Kindergartens in the Broadmeadows electorate include Broadmeadows Preschool, Meadows Primary School Kindergarten, Fawkner Primary School Lorne Street Kindergarten, Dallas Brooks Community Primary School Upfield Kindergarten, Belle Vue Park Kindergarten and Will Will Rook Preschool. In total these kindergartens will receive $34,100 that has been granted for padding and tumble mats. The Inclusive Kindergartens Facilities Program provides up to $10,000 per kinder for one or more items that promote inclusiveness and diversity. 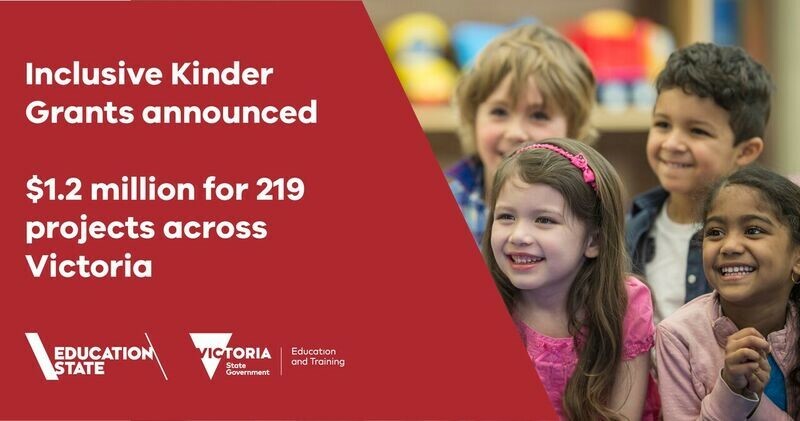 In total, the 219 kinders located across Victoria will share in more than $1.2 million worth of funding. These grants are the first to be provided through the new $6.4 million Inclusive Kindergartens Facilities Program – a Victorian-first initiative. The program will also provide kinders with up to $200,000 to upgrade buildings and playgrounds to make them more inclusive through the buildings and playgrounds stream. “It’s wonderful to know kids in the Broadmeadows electorate will benefit from even more inclusive, welcoming environments when at kinder”, Mr McGuire said. The Labor Government has invested a record $123.6 million to build, expand and improve early years’ infrastructure across Victoria to ensure local families can continue to access great local kindergartens. It builds on the Labor Government’s landmark $202.1 million Education State Early Childhood Reform Plan, which recognises the importance of giving families support in early childhood so kids are ready for kinder, ready for school and ready for life.